In this example, a 5 sided shelter is pitched using the sidewalls, to increase interior volume. The shelter has been zipped together before the trip, and as the weather is good, the Groundfloor™ is pegged out first to provide a template for where the sidewalls should go. Walking poles are used for the centre pole, joined together using a Pole Union™. Select a safe and comfortable campsite. 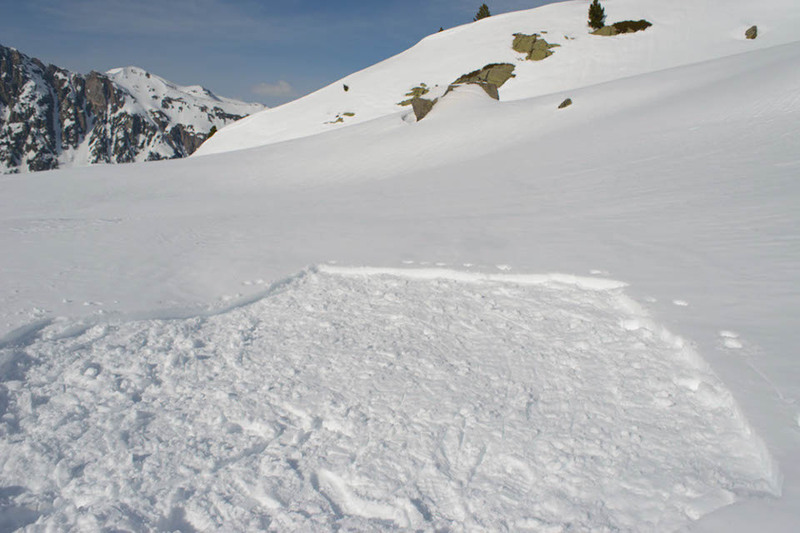 Prepare the ground as appropriate, for example by removing sharp stones or twigs, or stamping down soft snow. Peg out the Groundfloor™. This is the quickest way to get a tight pitch, especially when using sidewalls. 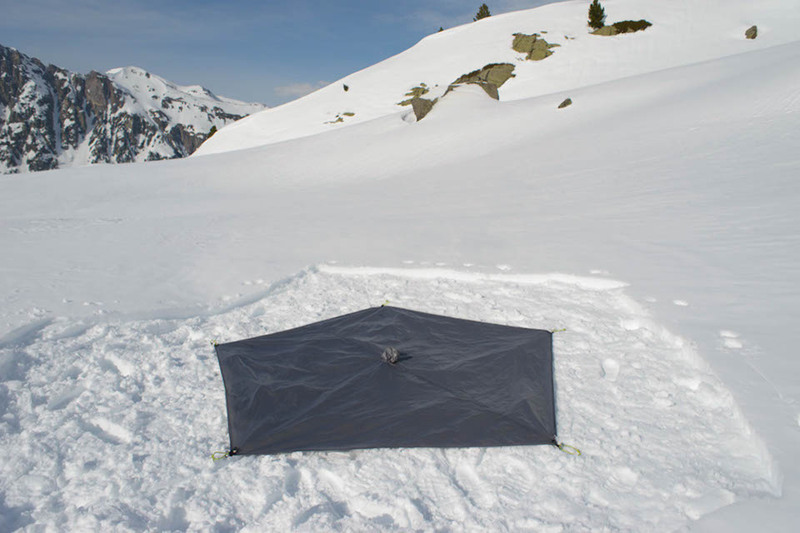 In bad weather, pitch the shelter first, spread out the Groundfloor™ inside, then tighten the pole and guys.